Want to save even more money? 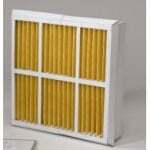 Check out our MERV 11 Filters Fast Air Filters. 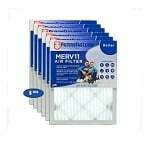 Comparable to Filtrete in every way except almost half the price Click here to check out the Filters Fast MERV 11 6-pack. Pet dander is comprised of tiny pieces of skin that come off your dog or cat when they scratch. This dander either floats, suspended in the air, or sticks to whatever it lands on. Allergies to pet dander can be very serious, leading to symptoms such as swollen eyes and throat, watery eyes, runny nose, sneezing, coughing, wheezing, or even asthma attacks. 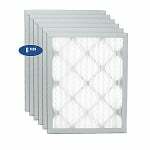 The Red air filter lasts 3 months and meets the American Lung Association Health House Indoor Air Quality Guidelines. MPR or Microparticle Performance Rating represents the effectiveness of a filter at capturing the smallest airborne particles measured in the industry standard test. This allergy furnace filter received an MPR of 1000. Merv 11. 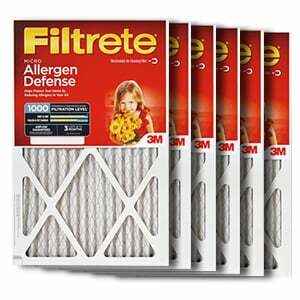 Installation instructions are included on the packaging of this 3M Filtrete air filter.